You might be missing Jon Stewart's voice this political season, but his influence appears all over late-night TV. When Comedy Central launched "The Daily Show" twenty years ago, the show's creators set out to be the sarcastic relative of the then-thriving newsmagazine shows. The plan was to mock the genre by emulating it. In the two decades that followed, "The Daily Show" out-wit the status quo and changed the landscape of late-night television. Craig Kilborn's two-year tenure as host of "The Daily Show" was a solid performer for Comedy Central, especially among the sought-after 18-49 demographic. When Stewart took the helm in 1999, "The Daily Show" became more political. Its young viewers looked to the satire show for reliable information. A 2012 study by Pew Research Center found 39% of "The Daily Show's" regular viewers were under the age of 30, watching the program as news source. "The Daily Show" became a must stop spot for politicians hoping to engage its younger audience. With meticulously-researched, fiery segments, "The Daily Show" became anything but funny to anyone who became one of Stewart and Co.'s targets. And though Stewart joked on one of his last shows that his political criticism never led to any real change, his championing of a filibustered 9/11 first responders bill in 2010 led to the measure's eventual passing. Stewart returned to "The Daily Show" set post-retirement to stump for the bill's reauthorization and appeared in a video piece in which he attempted to confront the bill's opponents. It was reauthorized 11 days later. Perhaps only "Saturday Night Live" can claim to have produced more famous alums than "The Daily Show." Stephen Colbert, Mo Rocca, and Beth Littleford all began as correspondents under the Kilborn regime. But Stewart's 16-year run produced a startling number of huge names, including Steve Carell, Ed Helms, Jason Jones, Olivia Munn and Rob Corddry. And those are just the ones who didn't go on to host their own comedic commentary shows. 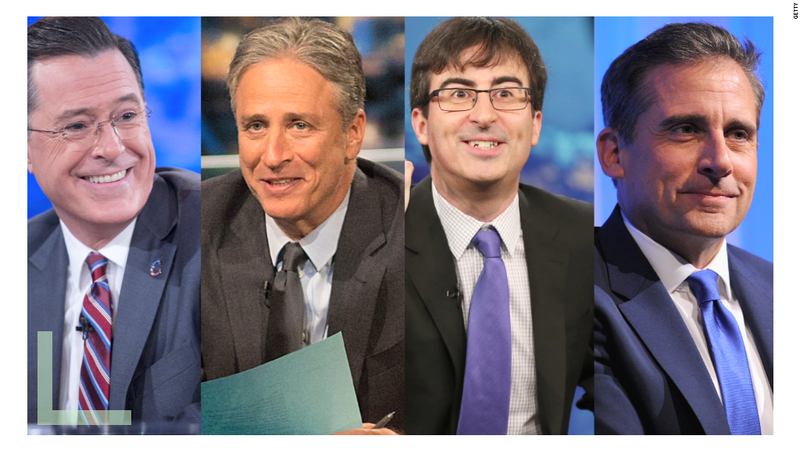 Without "The Daily Show," late-night TV would look and sound significantly different. "The Late Show" on CBS wouldn't have Stephen Colbert on the air. HBO wouldn't have "Last Week Tonight with John Oliver." TBS wouldn't have "Full Frontal with Samantha Bee." There wouldn't be a "Nightly Show with Larry Wilmore." And more shows are in the works for other "Daily Show" alums, including Jessica Williams. Trevor Noah may still be finding his footing as a host, but at 20, "The Daily Show's" legacy appears solidly in place.